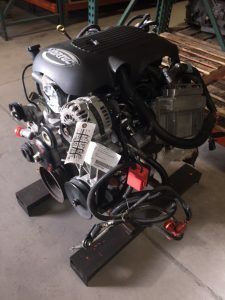 We often get calls from our customers wanting to update their old street rod, pickup, SUV or off road vehicle with a modern engine (changeover). So we thought we would take a moment and explain just what is a changeover ? why are they so popular? and what do we provide with when you purchase one from us? 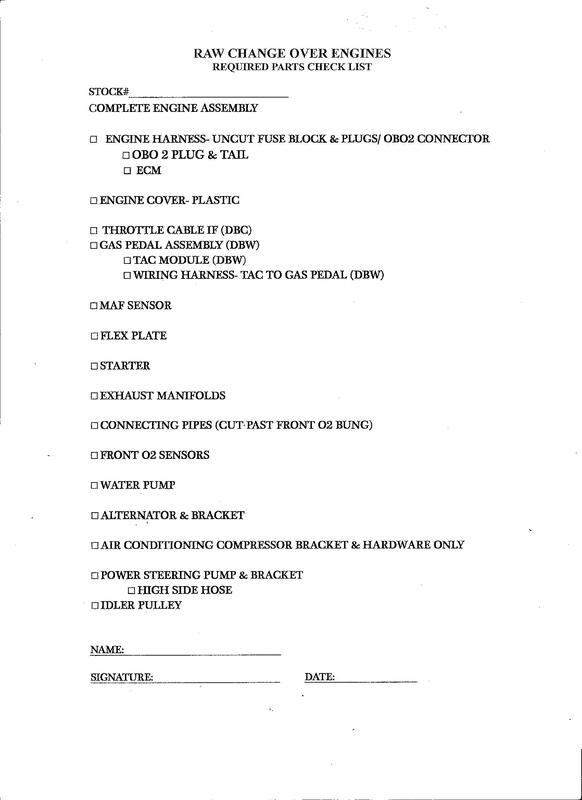 We define a changeover as a complete engine that is sold with all the wiring, computers, fuel injection, sensors, belt driven accessories etc. for the purpose of retrofitting to an older vehicle. We feel they are so popular because modern engines are now produced from the factory with great horsepower, good fuel economy and are very reliable. For or this reason changeovers have become a great way to update that older vehicle or project you have been contemplating about. To give you an example of what you will get with one of our complete changeovers, will use our most popular, the GM 5.3 or 6.0 engine. As the most popular, it also has the most aftermarket parts available for them. From performance upgrades, adaptors, to brackets and cooling systems, you can normally retrofit them into most anything. So what do we do? Our first goal is to buy good clean lower mileage salvage vehicles. Lower miles for us is any vehicle below the 12,000 mile per year national average. These are great little motors and we have seen them run for 250 to 500,000 miles. 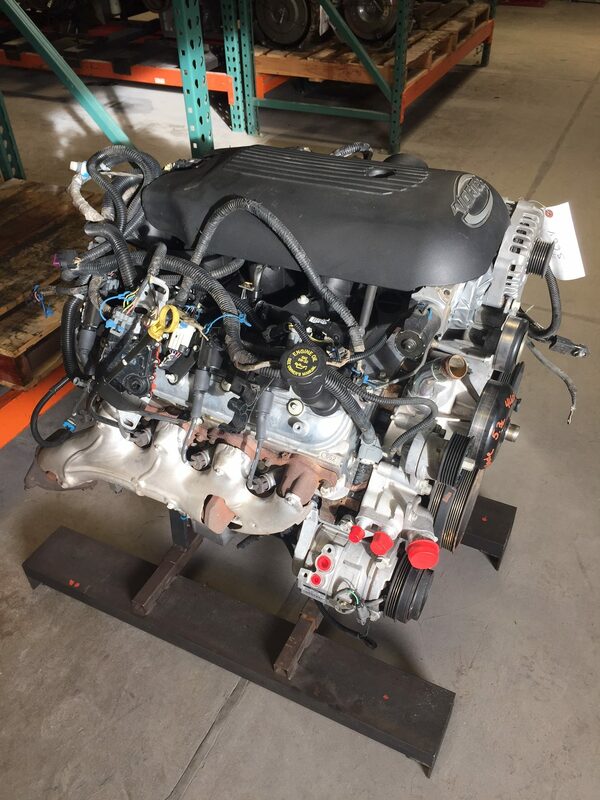 Thats not what were selling, but just explaining when we offer an LS engine with 115,000 miles on it has alot of life left. The target miles we are normally supplying with our LS changeovers is in the 90 to 150,000 mile range depending on your budget. With four recycling facilities in the Reno/Sparks area we handle most all makes and models so we can normally help you with a request from a 4 or 6cyl, up to large V-8 or even a Diesel engine depending on what you are looking for. We have sold hundreds of changeovers, so we have the experience to get you what you need for your project. 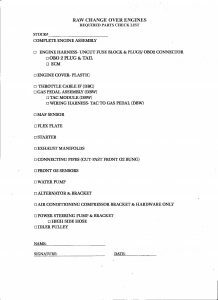 Check List of what is included.